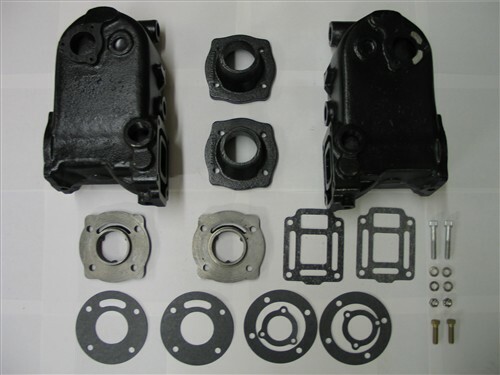 Kit includes both Risers, Deflectors, Outlet castings, all gaskets and the hardware as pictured. For all Q models, 327F and 305K-350K model engine. OTHER MODELS- We also have parts for Models 327F, 305K, 307K, 350K, GLV, G series engines produced by Chris Craft, Marine Power Corp and US Marine Power from 1967-1990. Visit our Order Form page to place your order.